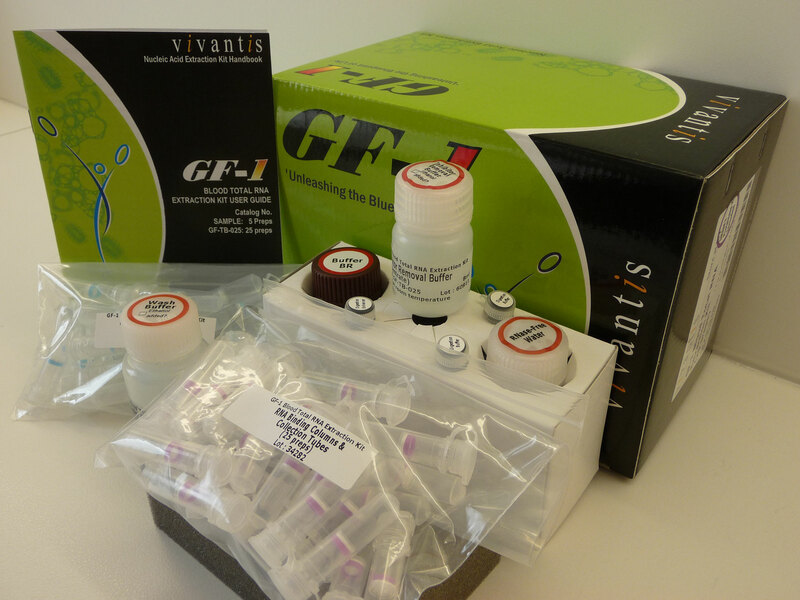 Das GF-1 Bacterial DNA Extraktions Kit wird für die Extraktion hochwertiger Gesamt-DNA aus grampositiven oder gramnegativen Bakterien verwendet. Das speziell entwickelte und optimierte Puffersystem erlaubt die Reinigung von bis zu 20μg DNA. Das Kit beinhaltet Columns, die mit einer speziellen Glasfilter-Membran ausgestattet sind, um so die DNA effizient zu binden. Die bakterielle DNA-Aufbereitung beruht auf dem Prinzip der Minicolumn Spin-Technologie. Zellulärer Debris, Salze und andere Kontaminationen können durch zwei kurze Waschschritte mit speziellen Puffern schnell und effizient entfernt werden. Die gereinigte und qualitativ sehr hochwertige DNA wird abschließend in Elutionspuffer eluiert. 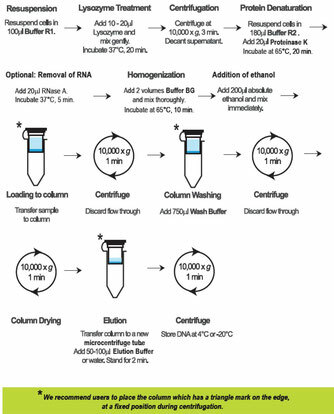 Die Gesamtzell-DNA, die mit dem GF-1 Bacterial DNA extraction Kit isoliert wurde, kann für alle Arten von Folgeexperimenten, wie zum Beispiel PCR, RFLP-Analysen oder Southern Blotting weiterverwendet werden. * Bitte beachten Sie die richtige Lagertemperatur. Azwai, S.M. et al. (2016) Isolation and Molecular Identification of Vibrio spp. By sequencing of 16S rDNA from seafood, meat and meat products in Libya. Open Veterinary Journal, 6(1), p. 36-43. Aw, Y.K., et al (2016) Newly Isolated Paenibacillus tyrfis sp. nov., from Malaysian Tropical Peat Swamp Soil with Broad Spectrum Antimicrobial Activity. Frontiers in Microbiology. 7(219), p. 1-9. Copur-Cicek,A., Dinc-Patlak, R., Sandalli, C., Mengeloğlu, Z., Kostakoglu, U., Yildiz, I.E. (2016). Determination of the staphylococcal cassette chromosome in methicillin-resistant Staphylococcus aureus strains isolated from various clinical samples. . Russia Open Medical Journal. 5(2). Akinsaya, M. A. et al. (2015) Metagenomics Study of Endophytic Bacteria in Aloe Vera Using Next Generation Technology. Genomics Data. ScienceDirect6, p. 159-163. Erdogmus, S.F., et al (2015) Aromatic Hydrocarbon Utilization Ability of Chromohalobacter sp. Ekoloji94: 10-16. Ntougias, S., Melidis, P., Navrozidou, E., Tzegkas, F. (2015) Diversity and efficiency of anthracene-degrading bacteria isolated from a denitrifying activated sludge system treating municipal wastewater. International Biodeterioration & Biodegradation. 97. Pp..151-158. Abd El-Salam, N.M., Ayaz, S., & Ullah, R. (2014) PCR and Microscopic Identification of Isolated Leishmania tropica from Clinical Samples of Cutaneous Leishmaniasis in Human Population of Kohat Region in Khyber Pakhtunkhwa. 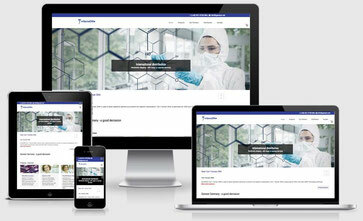 BioMed Research International. Chua, P., et al. (2014) Draft Genone Sequences of Two Cellulolytic Paenibacillus sp. Strains, MAEPY1 and MAEPY2, from Malaysian Landfill Leachate. Genone Announcements.2(1). El-Salam et al. (2014) PCR and Microscopic Identification of Isolated Leishmania tropica from Clinical Samples of Cutaneous Leishmaniasis in Human Population of Kohat Region in Khyber Pakhtunkhwa Biomed Res Int92014: 861831. Ting, A.S.Y., Hermanto, A., Peh, K.L. (2014) Indigenous actinomycetes from empty fruit bunch compost of oil palm: Evaluation on enzymatic and antagonistic properties. Biocatalysis and Agricultural Biotechnology. 3. Pp..310-315. Erdomus, S.F., et al. (2013) Aromatic Hydrocarbon Degradation by Halophilic Archaea Isolated from Camalti Saltern, Turkey Water, Air and Soil Pollution. ProQuest. p. 1-9. Hafshejani, M.K., et al (2013)Sequential Microaerophilic-Oxic Phase Mineralization of Azo Dyes by a Monoculture of Pseudomonas Aeruginosa Strain AWF Isolated from Textile Wastewater Water Air and Soil Pollution. ProQuest. p. 1-16. Gumel et al. (2012)Biosynthesis and Characterization of Polyhydroxyalkanoates Copolymers Produced by Pseudomonas putida Bet001 Isolated from Palm Oil Mill Effluent PLoS One7(9). Pongsilp, N., et al (2012) Genotypic Diversity among Rhizospheric Bacteria of Three Legumes Assessed by Cultivation-dependent and Cultivation-independent Techniques World Journal of Microbiology and Biotechnology. ProQuest. 28, p. 615-626. Atshan, S.S., & Shamsudin, M.N. (2010)Evaluation of Phenotypic and Genotypic Detection Methods for Biofilm-forming Methicillin-sensitive and Methicillin-resistant Staphylococcus aureus Clinical Isolates Annals of Microbiology. Zakaria, M.R., et al. (2010)Polyhydroxyalkanoate Production from Anaerobically Treated Palm Oil Mill Effluent by New Bacterial Strain Comamonas sp. 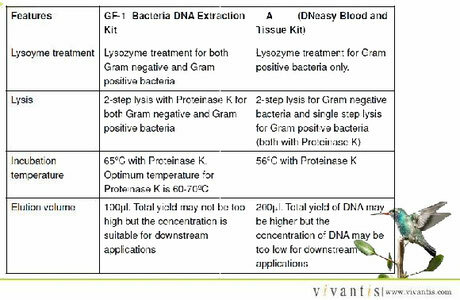 EB172 World Journal of Microbiology and Biotechnology. ProQuest. 26, p. 767-774.